Cut and paste the title of the article you found in Google Scholar and put it in a library catalog title search. 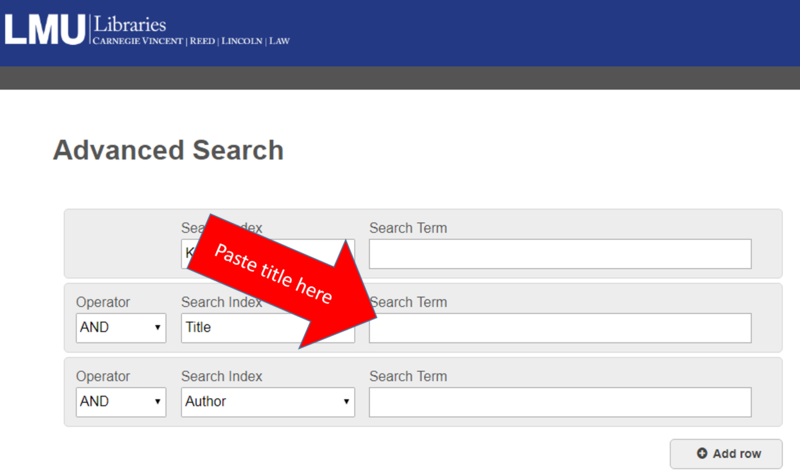 Click here for a link for the library catalog advanced search. The second box defaults to a title search. Click the green search button to get a results list. Next click in the peer reviewed box on the left side of the screen. If the article stays on your results list, it is peer reviewed. << Previous: Where is the library tutorials page?